Michael Godard collaborates with artist Jim Warren on this fun new piece. 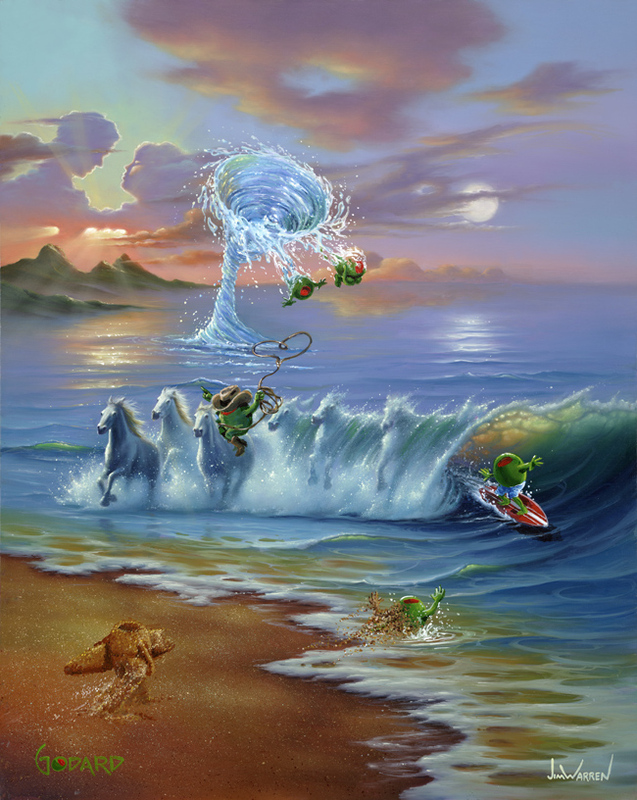 Jim is world famous for his surreal paintings that combine ocean imagery with unusual illusions. Godard lets the olives loose in this fantasy environment and the results are pure magic!